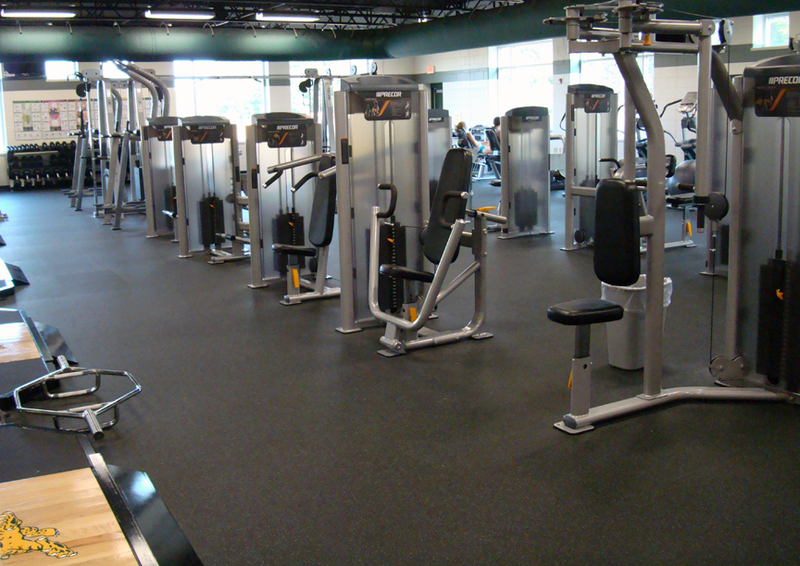 RubberDeck dent-resistant flooring is perfect for any weight room flooring or equipment room flooring need, and is also a great choice for gymnaiums, yoga or pilates studios, children´s play areas, common areas, and much more. 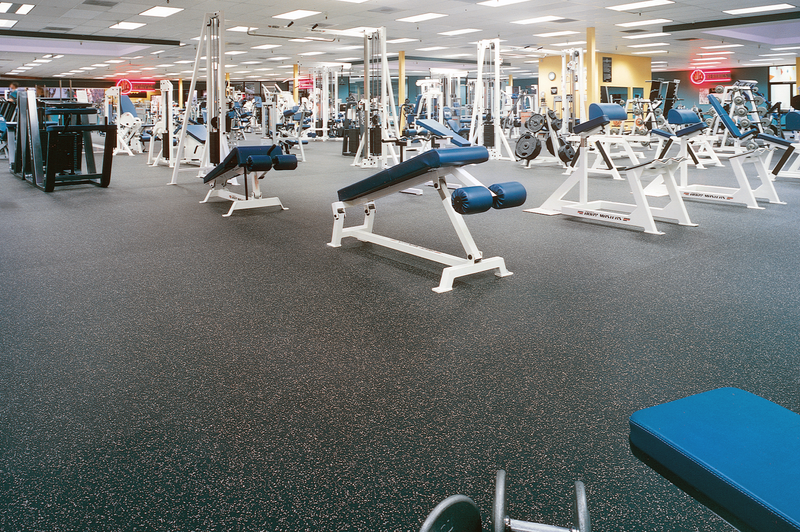 RubberDeck is a super-durable flooring product with the most rubber flooring color options available on the market. RubberDeck rolls, puzzle tiles, SuperTiles, and Elite rolls are available in pure black 100% recycled rubber and a wide variety of pre-fabricated mixture of recylcled black rubber and varying concentrations of colorful EPDM flecks. You also have the option of creating a custom color mixture that perfectly complements your team or corporate colors. Unlike other athletic flooring options, custom logos and graphics are built into the floor surface for more durable, longer wear. 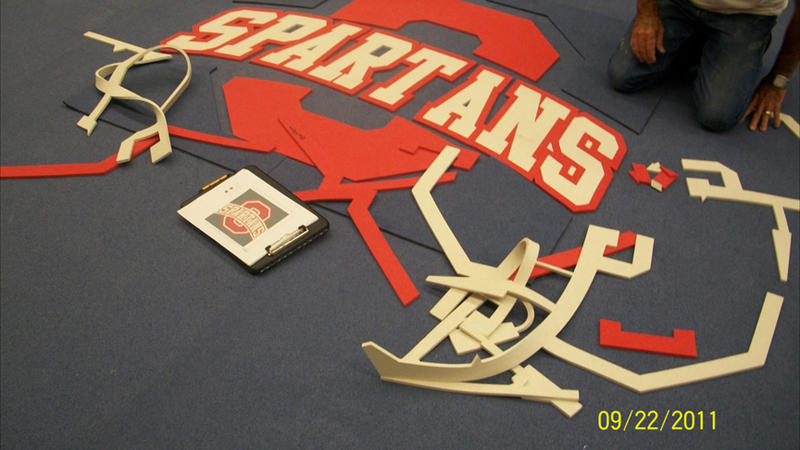 Logos are custom designed using a state of the art water-jet cutting machine. For all custom colors and logos, contact a customer care representative for pricing and options. 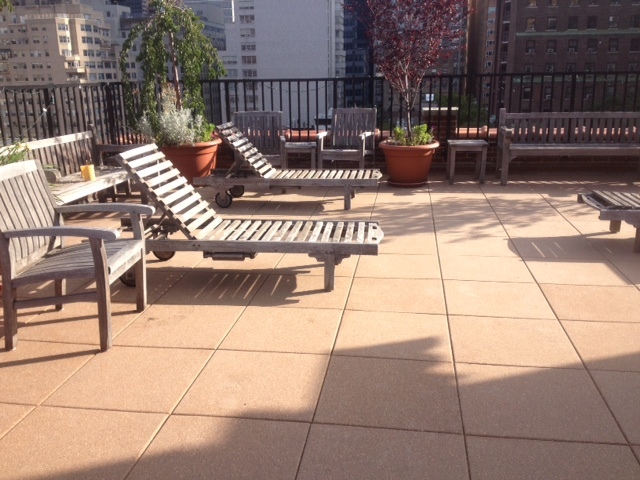 RubberDeck qualifies for LEED credits and is made from recycled goods. RubberDeck rolled rubber flooring, interlocking rubber puzzle tiles, and SuperTiles provide superior sound and shock absorption, slip resistance, and an attractive seamless appearance. 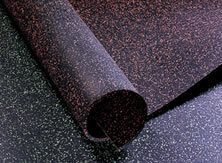 RubberDeck Rolls general purpose rolled rubber flooring is available in 6mm,8mm and 9.5 mm thickness . Standard rolls are 48" x 25' and 48" x 50', with custom lengths available. Choose from 35 standard color choices or ask about our custom options. 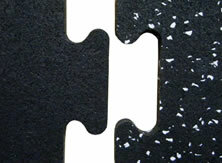 RubberDeck Puzzle Tile is 8mm x 2' x 2'. Interlocking tabs make this rubber flooring tile incredibly easy to install and remove, making it ideal for temporary applications. 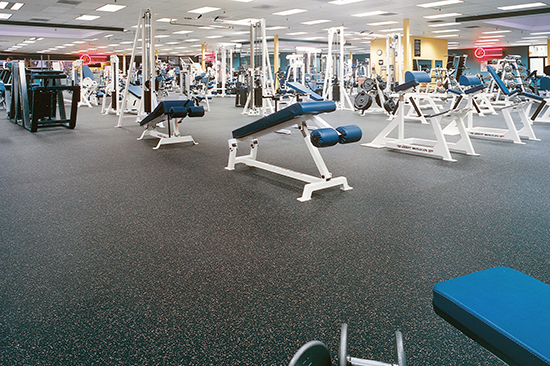 Choose from 35 standard rubber flooring colors or ask about our custom options. 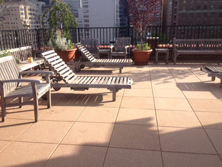 RubberDeck SuperTile is 1"x2’x2’ and is designed with a super wear layer to provide unlimited design options. They contain a pedestal underside that allows you to run all your equipment cables and electrical wires under the surface. No adhesive is required, making installation quick and easy. This also allows a customer to replace tiles easily if necessary. The RubberDeck SuperTile comes in 12 standard designs and with optional ramped edging to create a smooth transition between areas. Choose from 11 standard rubber floor color choices or ask about our custom options. 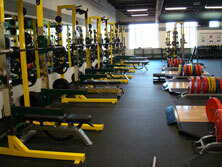 high performance rolled rubber flooring delivers energy and exuberance to any fitness application. 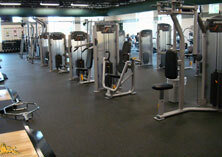 Ideal for indoor jogging tracks, tennis courts, gymnasium surfaces, aerobic centers and ice rink perimeters. TrackDeck is manufactured by laminating 3mm of recycled rubber to a rubber underlayment that is 5mm, for a total thickness of 8mm. TrackDeck has excellent force reduction and ball rebound. Choose from 3 standard color choices or ask about our custom options. Contact one of our flooring experts today! Our certified sports flooring expert will discuss which RubberDeck or TrackDeck product is best suited to your application. 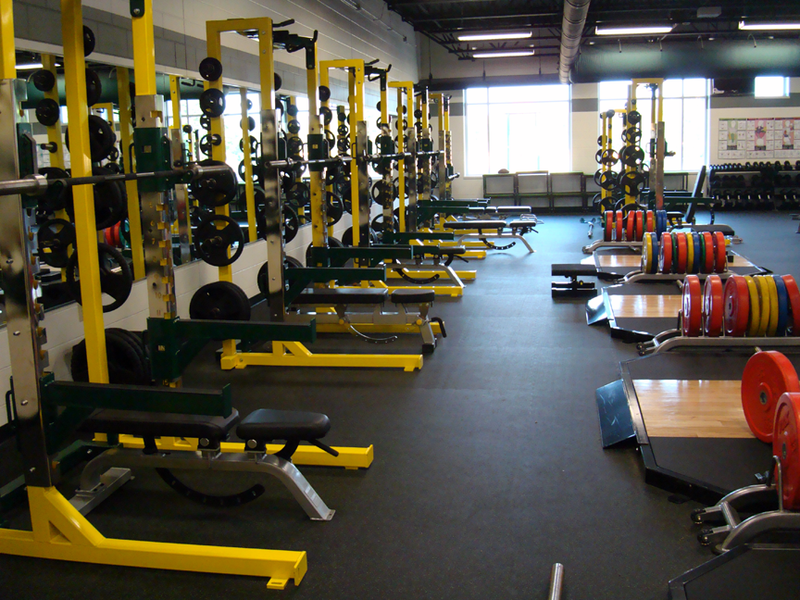 You may not require professional installation, but our team will visit your site to perform moisture tests, ensure you choose the right athletic flooring for your facility’s need, and help with design decisions and layout. Once the subfloor is properly prepared, RubberDeck rolls are layed out and allowed to relax, then cut to fit perfectly against walls and other architechtural features. Rolls and puzzle tiles are secured using specially formulated glue or tape, and SuperTiles do not require any adhesive. 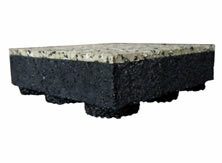 Ramped edging is custom cut to create a safe transition to SuperTile areas.